Amazing price for value on this huge, energy efficient mountain home. 25 minutes to Boone and 28 minutes to Watauga Lake. If privacy is what you crave, this spacious home at 485 Private Dr has you covered. Enjoy the mountain views from your kitchen window or while grilling out on the double tiered back decks. This home offers limitless storage and many bonus areas within its 4600+ sq. ft. of heated living space. 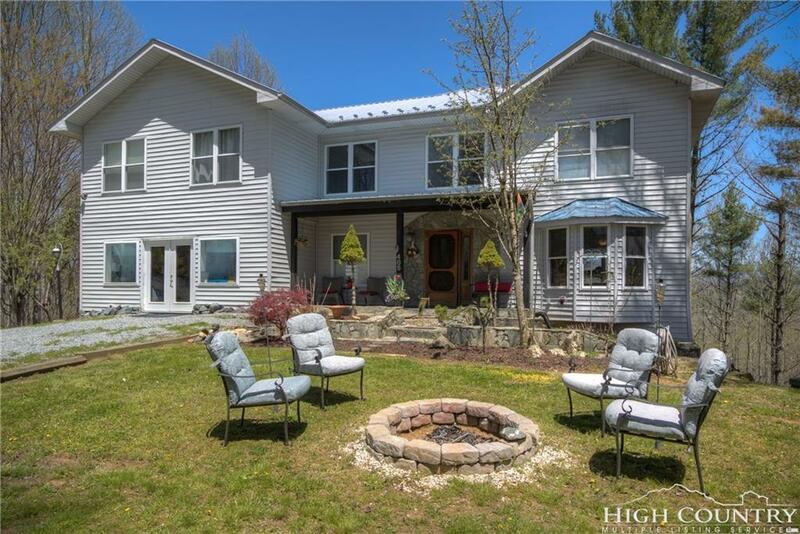 perfect setting for a variety of family needs such as homeschooling, home office, and extended family or the opportunity to host extra tenants in the lower living area with a separate entrance option. Great for kids and pets. Surrounded by woods, enjoy long nature walks. Built with a superior ICF (insulated concrete form) foundation to be warm in the winter and cool in the summer. Triple zoned central heating/air systems also offer maximum efficiency. Additional storage and work space available in the extra large 1500+ sq ft basement. This home has many rooms and unique spaces ready for the next family with big ideas to grow into.